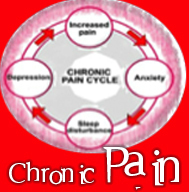 Many people use the term Chronic to convey just how excruciating a pain is. However, what the term really means is simply that the pain has been there for longer than three months, even if it’s not very bad. The distinction is made after three months because most injuries to tissues, either muscle, bone or joint has had a chance to heal and resolve by this time. The difference between pain that has just happened and pain that has been there for a long time has implications for treatment and the way you approach it. Chronic pain requires different management and is likely to be caused by more than one thing where as short-term pain (also known as acute pain) often has a distinct cause, such as a fall. What are some examples of acute conditions? A sprained ankle, torn muscle, a bruise and even a broken bone are all examples of injuries that occur suddenly and usually follow a typical pattern of healing. They usually go through an inflammatory reaction with the area being red, hot, swollen and painful to touch. This period usually lasts for a few days and is a normal part of the healing process as the body works to remove damaged tissue and repair the affected area. Different tissue types take varying amounts of time to heal. The severity of the injury will also affect healing times. Some acute injuries can become chronic if something goes wrong in the healing process. Some acute injuries are so bad they won’t heal without medical care. For example, fractures need to be kept as still as possible to allow the broken bones to heal together in the correct position. Some pain and illnesses develop over time and are chronic in nature, usually starting insidiously and becoming progressively worse. Osteoarthritis, multiple sclerosis and rheumatoid arthritis are all examples of chronic conditions that cause chronic pain. For some people, even though their injury has healed and no significant cause can be found, pain persists. This type of pain can be particularly distressing and requires a holistic approach to treatment, particularly addressing the emotional costs that come with suffering from long-term pain. Certain factors will predispose someone to developing this type of pain including recent or past emotional trauma, anxiety and depression. Unfortunately chronic pain often causes people to adopt a vicious cycle of rest, which causes more stiffness and pain, which then leads to more pain and so on. Your physiotherapist is well trained to help you cope with chronic pain and get you back to a more functional level and doing the things you love. Sometimes the internet can be a confusing place, full of misinformation, particularly from people trying to sell you things. A recent website developed by the Department of Health in Western Australia aims to provide evidence-based support and education to pain sufferers.